In an Education Week blog, Peter DeWitt states that while “Instructional coaches can help teachers improve their instructional practices in any subject at any time,” they are a bit more removed from students and therefore can find it more difficult to know the impact of their work. He identifies the need for all educators today to have more than “a good feeling” to demonstrate the positive impact of their work. When I am asked to train instructional coaches in systems where the positions are first being implemented, I share with coaches and principals that I am certain that in less than two years the questions will emerge: “What does the instructional coaching program cost us and what proof do we have as to what we are gaining from that investment?” My advice is not to wait for the question to emerge but to consider what evidence would be an indication of progress and how that evidence can be gathered. As the final months of the school year begin, it’s a good time for principal and coach partnership conversations to focus on what evidence is present that indicates progress toward the goals they have established. 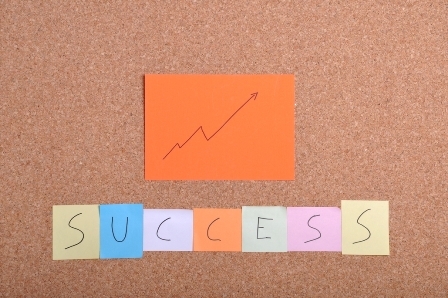 This process can play an important role in setting goals and plans for the next school year. The driving focus of school leadership’s work needs to be student achievement success. What changes need to occur in what students are doing and experiencing? 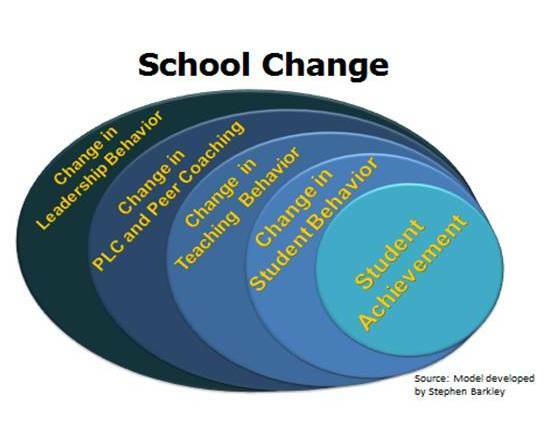 What teacher instructional/facilitating behaviors are needed to generate the desired student changes? What changes need to occur in teachers’ engagement in professional learning communities, professional learning, coaching observation and feedback that will support the desired changes in teacher practice? What changes/practices need to be implemented by principal and instructional coach to generate the needed school culture and collaborative staff practices that will guide continuous improvement? These questions suggest the evidence that instructional leaders can explore for signs of their impact. Start from the bottom up. First: Did the leaders implement changes in their actions? If it was decided that the instructional coach would do observations and provide feedback to teachers connected to the teachers’ growth plan, how many teacher were observed how often? If it was decided that the principal would protect PLC time, how often were PLC’s given extraneous tasks to complete for school or district requirements? If it was decided that the instructional coach would coach teachers in PLC effectiveness, how often did that occur and what kind of feedback did the teachers receive? Second: What changes were observed in teachers’ collaborative behaviors? Did the conversations in PLCs become more focused on learning? Is there student work at most PLC meetings? How many teachers have approached the coach for observation and feedback on a change they were focused on making or on a student learning concern? How many teachers have done how many observations in their colleagues’ classrooms? What questions have teachers raised during professional learning activities? Third: What changes have been observed in teachers’ instructional practices? Have teachers’ questions to students changed? Is there more differentiation built into classroom activities and centers? Are teachers assigning tasks of greater rigor? Are teachers designing integrated learning opportunities? Do learning plans or classroom assessments indicate the changes that leadership focused on gaining? Fourth: What changes have been identified when observing students? Are students modifying work and implementing teacher feedback? Lastly: What changes have occurred in student achievement? How do system assessments evidence an increase in student learning? What are course grades communicating about student learning increases? Does an increase in student enrollment in challenging learning opportunities indicate increased student success? What evidence exists in student work to indicate an increase in desired soft skills? While the change in student achievement is the focus of the work of instructional coaches, understanding the process that would most likely generate that achievement is critical to planning and assessing coaches’ work. As coaches and principals assess this year’s progress, goals and plans for next year will emerge.